This is a perfect instrument for diagnostic and maintenance purpose in associate with low current monitoring or troubleshooting. 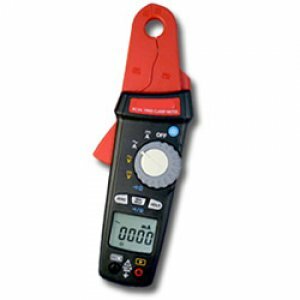 It measures both AC and DC current with very stable 1 mA resolution. It is an ideal choice not only in general industrial filed, but also automotive application to measure sleeping or starting current. The built-in backlit LCD and bright LED flashlight make it easier to work under the hood. *The specifications are subjects to change without prior notice.